​Every experiential training session ensures effective skill development that is fun and memorable. Experiential learning has been termed "the natural way of learning,” and is defined as the process by which the experience of the learner is reflected upon, from which new insights emerge. Knowledge can be learned, experience is gained over time, but SKILLS are the foundation of learning to be able to utilize the knowledge and experience any employee has gained. At the most basic level, all skills are interpersonal communications skills, which also tends to be one of the most lacking in today's corporate environment. 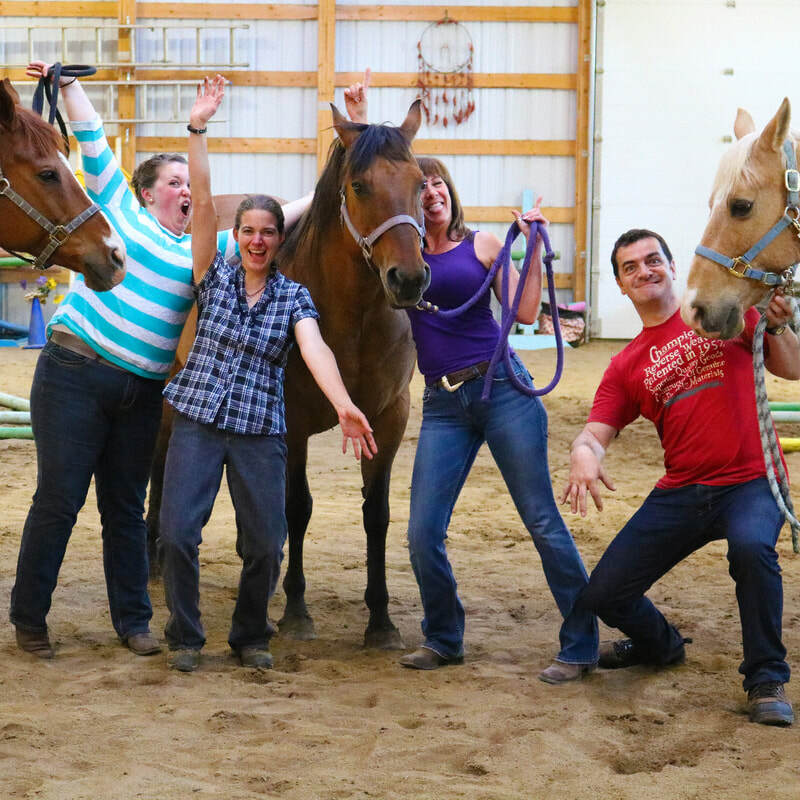 Horses reveal the hidden dynamics of your team. Team activities are designed to facilitate problem solving that encourages individuals to work cohesively as a team for positive results. 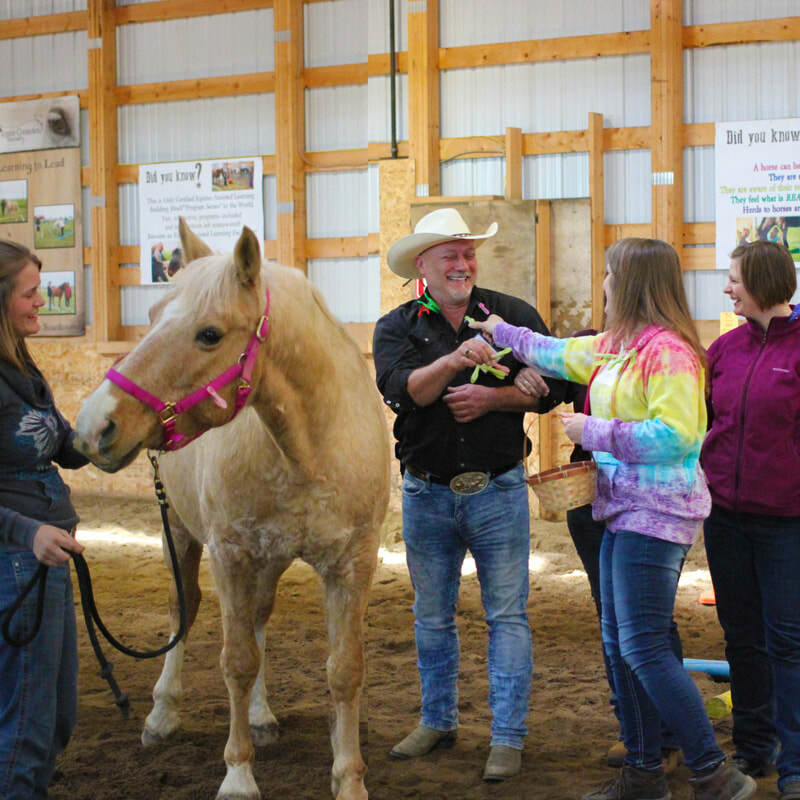 This unique style of horse/human interaction is an effective approach to team building and leadership development and is a powerful metaphor for the work environment. Brainiac - Who's the Brain? Exploring new ways to communicate under pressure! This team building exercise encourages the discovery of individual alternative communication skills in order to successfully work together as a team to hit the goal. ​We forget how easy it is to tell someone to do a task or what our body language is projecting. The objective is to use silent communication and body language to guide each other’s partners though the obstacles. What does it take as a team to think outside the box? This challenge participants to work through a series of tasks, while emphasizing how you problem solve with plan development and adaptability. 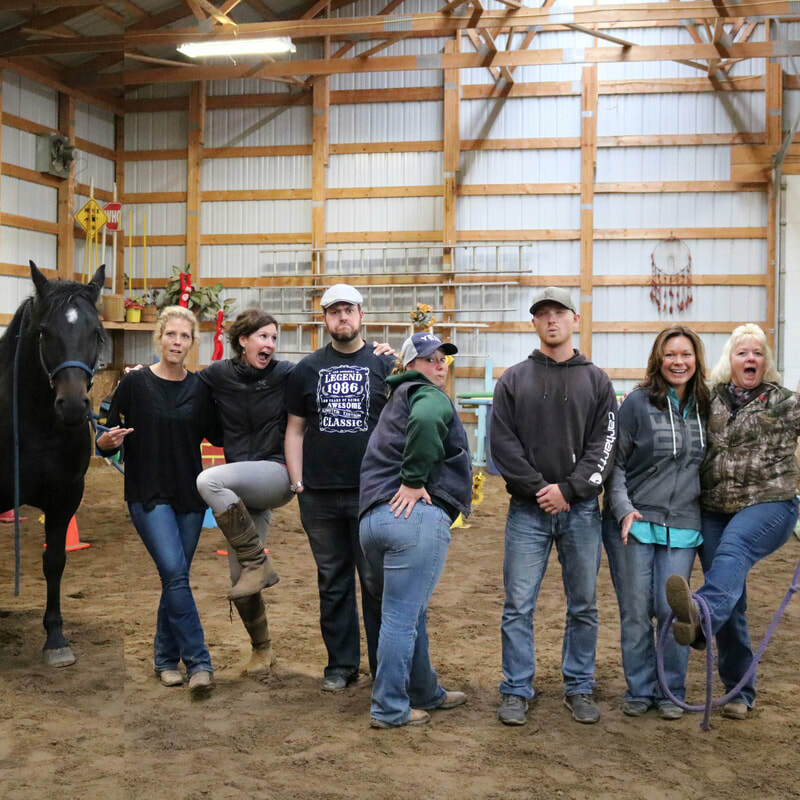 Team Building Wednesdays 2019: Teams of 2 to 3 attend a 2 hour experiential learning team building session from 1 to 3pm on Wednesday's with horses as the teachers! If you want to do something new, fun and effective for your team, this is for you! No obiligation, risk free team building, that is also fun. We are ideally located only 20 minutes from downtown Winnipeg! Topic of each session will vary week to week. Price per team (2 to 3 people per team) is $80 + GST per session. Max of 4 teams per session. Sign up for just one to try it out, or more to work on multiple skills! Registration deadline is Monday at midnight for each week. Inquire with us if you'd like to book a board room for before or after your workshop for a brain storming session away from the demands of the work place! We have a country view and WiFi throughout the building. No previous horse experience necessary. We will walk you through everything and ensure everyone is safe and comfortable! All participants will be required to sign a liability release before participating in the event. Studies have shown that the majority of managers are promoted into leadership positions because they excel technically, but most have never demonstrated or been trained in the art of leading others. It has been proven that the more senses that are engaged, the greater the likelihood that new learning will be retained. Horses require a leader that they trust and respect, just like we would love to have in the workplace. Horses require a leader that they trust and respect, just like we would love to have in the workplace. Leadership is the key component to effective team development. If you are willing to give them a direction for growth from within, you are a company building future leaders, rather than employees for your competitor. Your employees, your team, your leaders, need more than a job. Guaranteed lasting change because you can't fool the teacher! Give your employees the skills, training and development they need to grow for themselves and your organization. If you are looking for substantial results and real change, then you have found the organization to bring about the change your leaders and teams need to take your company to that next level of profits! 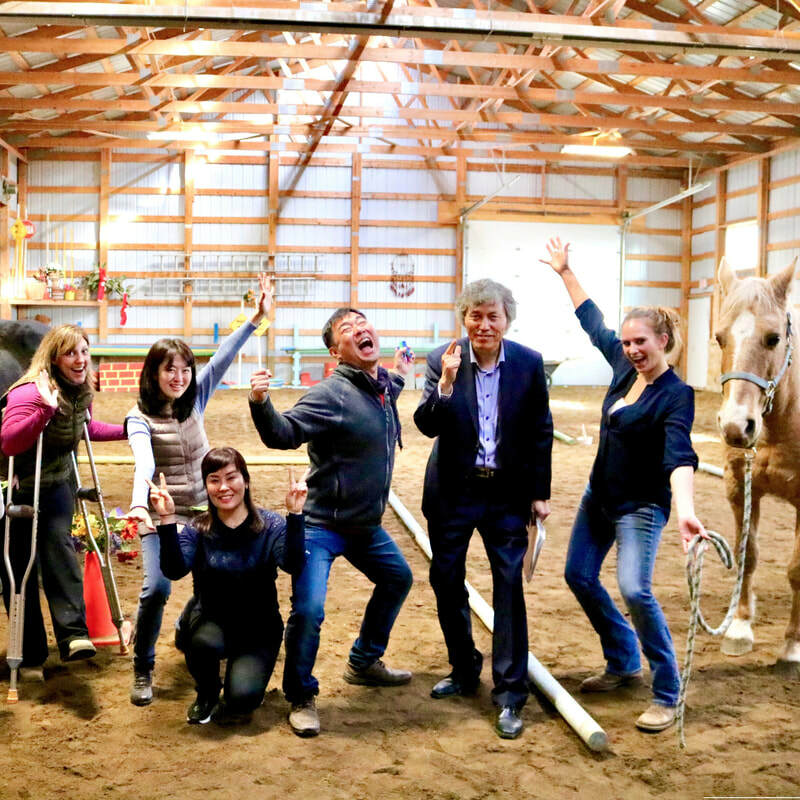 WARNING: YOUR EXECUTIVE TEAM MAY ACTUALLY ENJOY THIS EXPERIENTIAL WORKSHOP!! “Beyond the Boardroom” for organizations who are searching for fun, innovative and results-oriented solutions to enhance your team(’)s effectiveness. Individuals learn useful and life changing leadership skills that will show up immediately in the workplace. Effective with groups that are new to your corporate culture and just getting to know each other in their new work environment. Learn each others communication styles as well as your own. 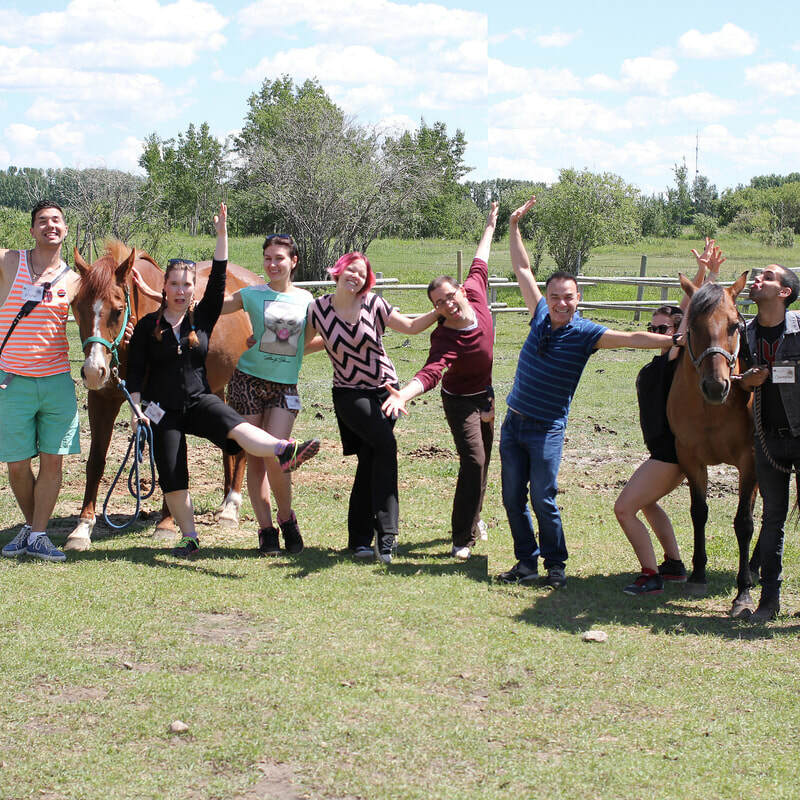 You will see the distinct qualities that each participant brings to the team. Individuals learn useful and life changing leadership skills that will show up immediately in the workplace. ​Fine tune your existing Team and take your business to the next level. This course focuses on fine-tuning your existing team. You may have worked together for many years, but are you communicating and working together as effectively as you would like? Would you like to challenge the norm of your current office setting? 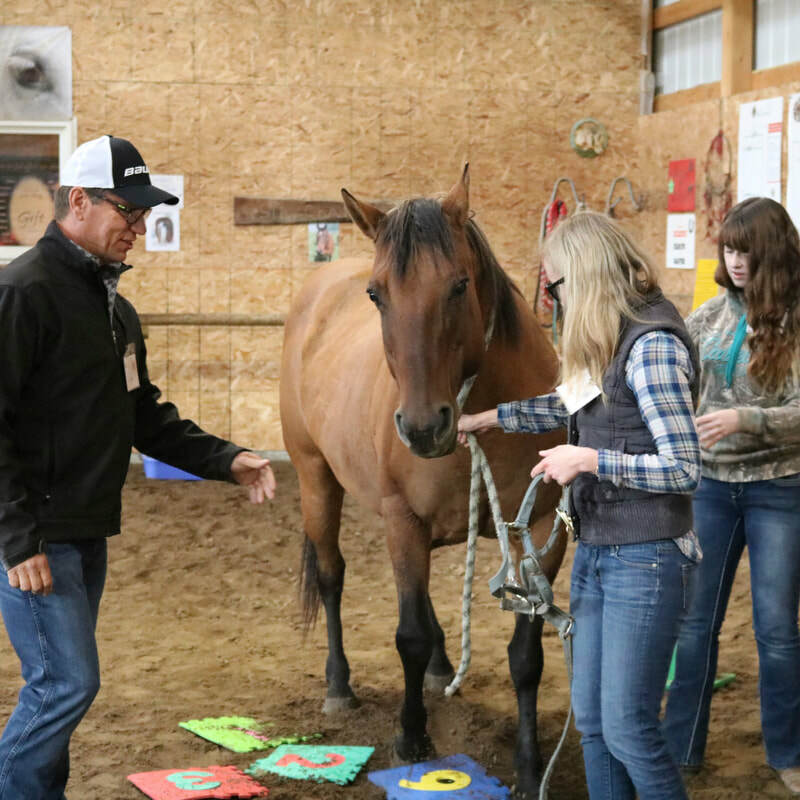 Leadership Fridays 2019: Teams of 2 to 3 attend a 2 hour experiential learning team building session from 1 to 3pm on Friday's with horses as the teachers! If you want to do something new, fun and effective for your executive team, this is for you! No obligation, risk free leadership development, that is also fun. We are ideally located only 20 minutes from downtown Winnipeg! Price per team (2 to 3 people per team) is $110 + GST per session. Max of 4 teams per session. Sign up for just one to try it out, or more to work on multiple skills! Registration deadline is Wednesday at midnight for each week. Inquire with us if you'd like to book a board room for before or after your workshop for brain storming session away from the demanding office! We have Wifi and projectors for you to use. Request a Quote or More Info!